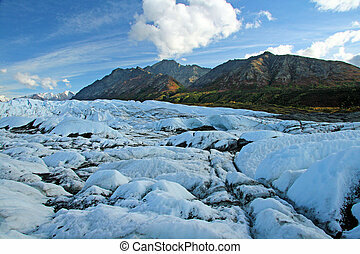 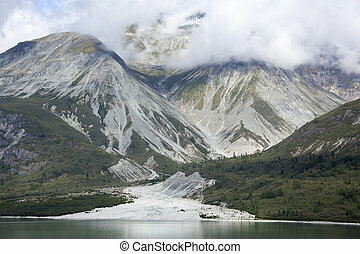 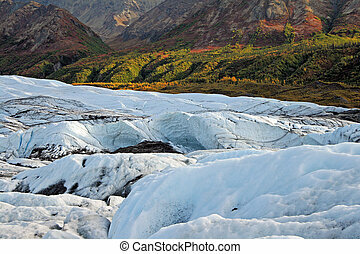 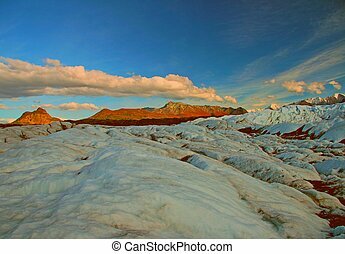 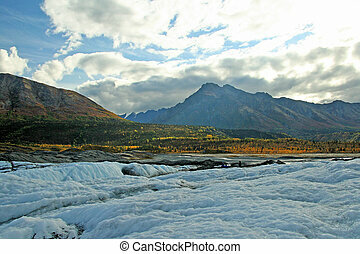 Alaskan glacier landscape. 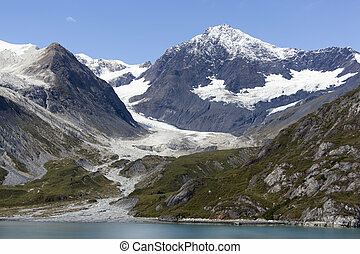 The scenic view of a glacier next to the mountain in glacier bay national park (alaska). 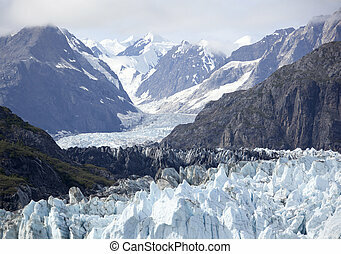 The scenic view of a glacier next to the mountain in Glacier Bay national park (Alaska). 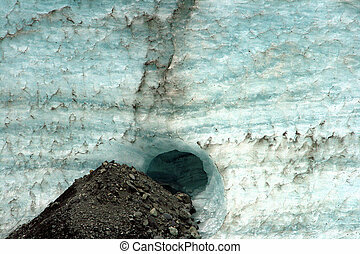 Bright blue ice on an isolated glacier. 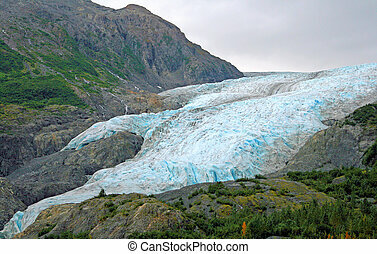 A glacier in Alaska reflecting its blue color. 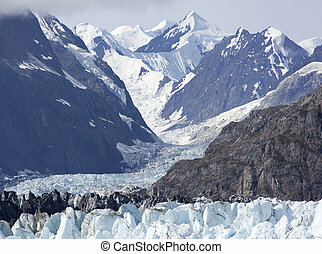 The view of a glacier landscape in Glacier Bay national park. 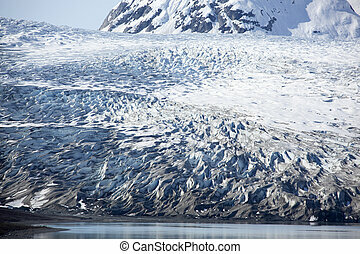 The panoramic view of a glacier in Glacier Bay national park (Alaska). 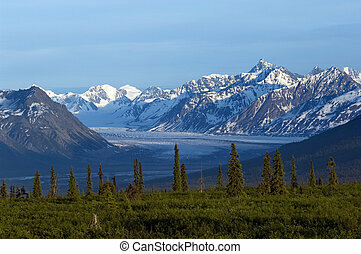 The view of curved glacier stretching to far away mountains in Glacier Bay national park. 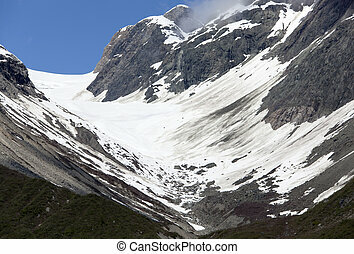 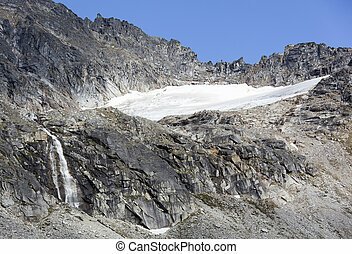 The hostile Devil's Punchbowl landscape with a waterfall 3700 feet (1130 meters) above sea level (Skagway, Alaska). 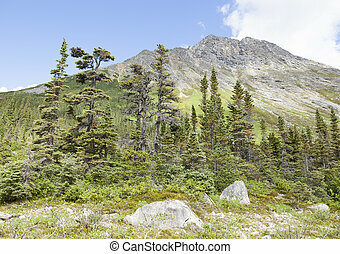 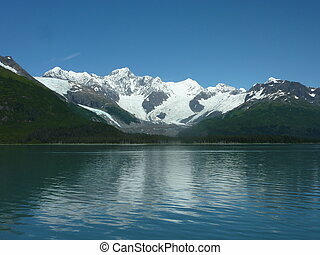 Picturesque landscape in Glacier Bay national park (Alaska). 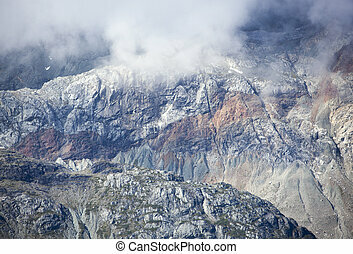 Rough landscape partly hidden in clouds in Glacier Bay national park (Alaska). 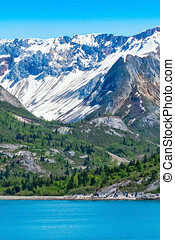 Summer day in mountains outside Skagway town (Alaska). 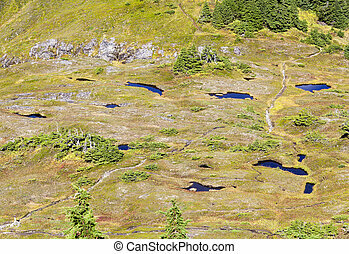 The aerial view of a valley from the top of Deer Mountain (Ketchikan, Alaska). 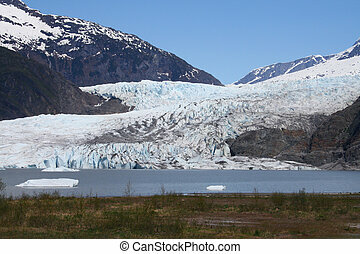 The scenic view of Mendenhall Glacier on Summer (Juneau, Alaska). 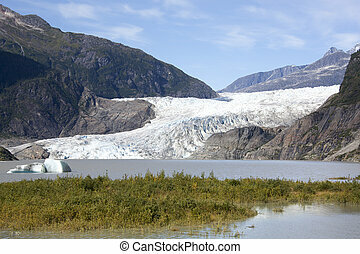 The view of a small glacier in Glacier Bay national park (Alaska). 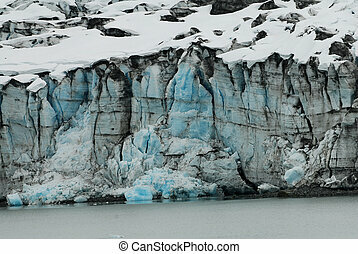 The close view of a glacier in Glacier Bay national park (Alaska). 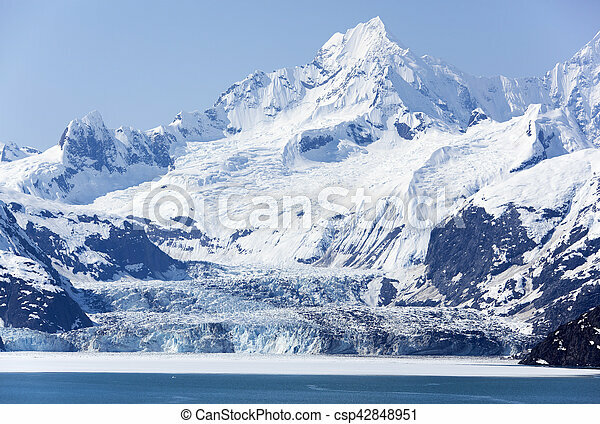 The view of mountain range with a glacier in Glacier Bay national park (Alaska). 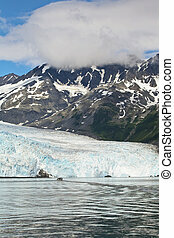 The panoramic view of an old glacier that turned into black color in Glacier Bay national park (Alaska). 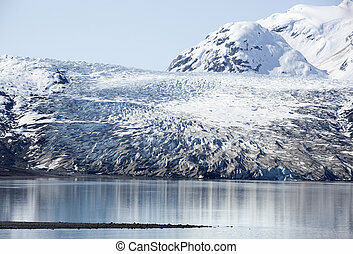 The snowy landscape in Glacier Bay national park (Alaska). 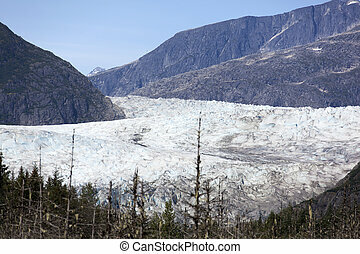 The view of majestic Mendenhall Glacier (Juneau, Alaska).